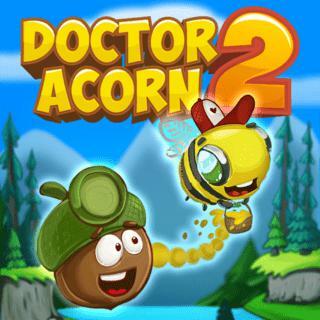 Doctor Acorn is back and ready for a new adventure in this entertaining physics puzzle. Your mission is to find his lamp the squirrel blew out of the window by accident. Guide the doctor safely through 10 challenging levels where you have to defeat birds, activate fans, navigate bees and collect stars. Can you reach the exit and complete all levels with three stars?